After our helpful mouse Gregor has officially been introduced at the eQualfication, he now has to prove his abilities as a virtual assistant in a study. Within the project incluMOVE we are testing the influence of the virtual assistant Gregor regarding the users’ attention and understanding. 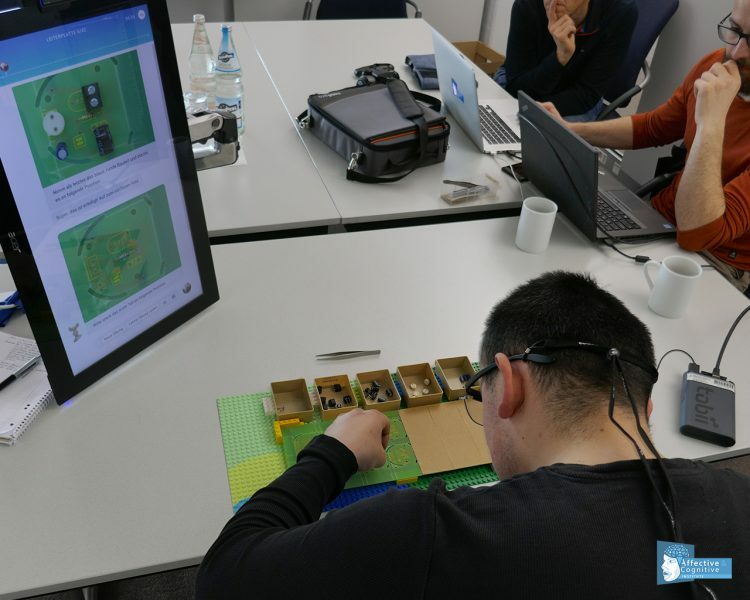 The virtual assistant Gregor steers the participants of our study gradually through the individual work stages of an assembly process. 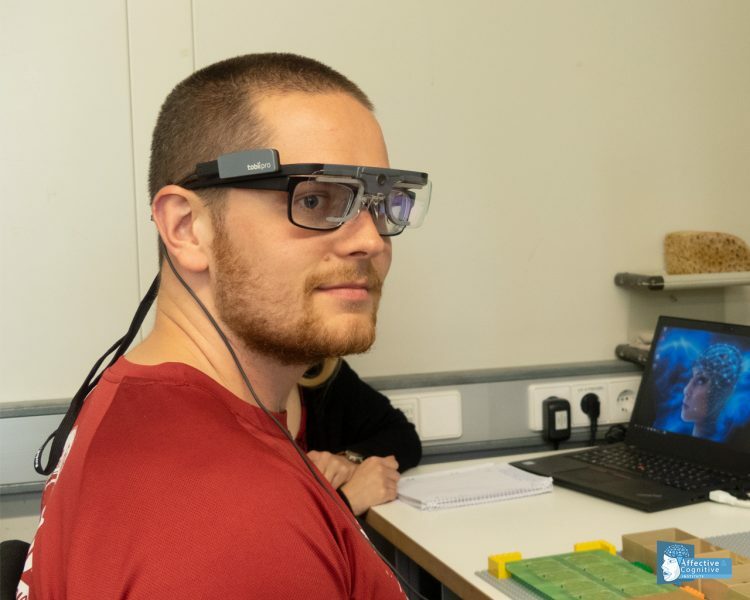 Using eye-tracking glasses (Tobii Glasses 2), we record the eye movements of the participants during the instruction and execution of the tasks. Afterwards the participants will be asked to answer some questions. For example, whether they found Gregor helpful or annoying. Close-up of the worksteps explained by the chatbot. The study will be conducted with two different user groups. One group are participants of the vocational training department of Femos gGmbH, the others are students of the University of Applied Sciences in Offenburg. The user group of people with intellectual disabilities of the BBB performed their assembly task with Gregor excellently, mostly error-free and with great enthusiasm. Participant of the Eye-Tracking-Study at Femos gGmbH. 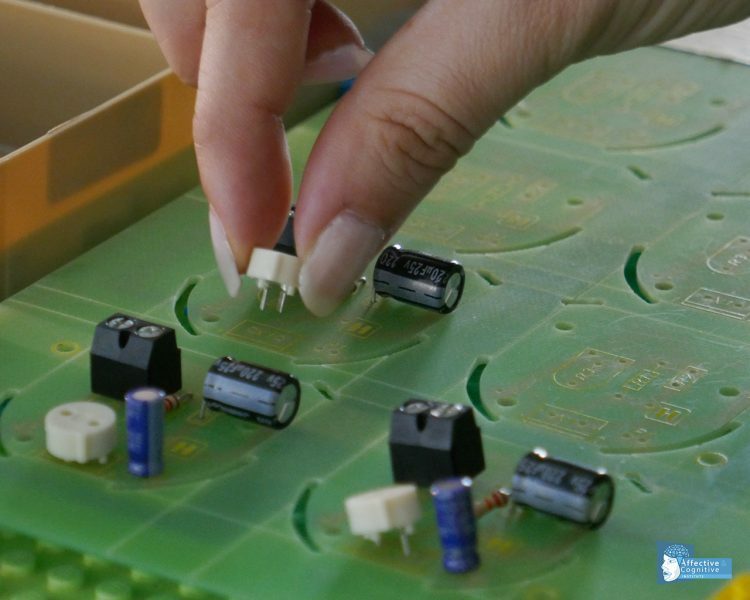 Of our students, we are expecting even more: they have to carry out two different assembly processes, only one of which is guided by Gregor. The other one they have to carry out independently and without assistance. Of course, in both processes we are recording the eye movements of the students as well as a final questionnaire, in the same way we interview the participants of Femos gGmbH. During the survey, we were particularly interested in the difference between supported and independently executed assembly processes.